Gundog breed standards. Fit for function? A Clumber spaniel should be fit for a day's beating in heavy cover. Gundog breed standards are supposedly the blueprint for the perfect pedigree animal, yet in reality the dogs they produce can be overweight and even disabled.  David Tomlinson questions whether gundog breed standards have had their day. We’ve indulged in years of selective breeding to obtain the perfect gundog and serious genetic disorders are the result. 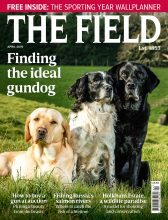 David Tomlinson looks at gundog hereditary diseases, the price of breeding and buying pedigree. It’s rather like the mystery of the chicken and the egg: which came first, the breed or the breed standard? 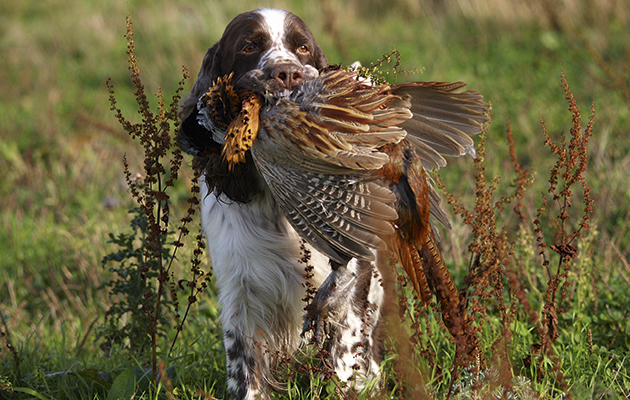 Gundog breed standards are the blueprint for domesticated livestock and a description of what the experts feel constitutes the perfect pedigree animal, whether it be a cocker spaniel or Gloucester Old Spot. In the case of our sporting dogs, most of the breed standards were drawn up more than a century ago, though many have changed subtly – or blatantly – over the years. Well, that’s what the breed standard says but going by the dogs that appear at Crufts, not many of the judges agree. Massive Clumbers continue to qualify for the show and I doubt that many would last half an hour in the beating line. Gundog breed standards for all our pedigree dogs are the copyright of The Kennel Club, which has to approve and make any changes. What the Club seems incapable of doing is ensuring that judges interpret the standard correctly. At this year’s Crufts a German shepherd dog won best in breed, despite the fact it was clearly not fit for function, with steeply sloping back and angulated hind quarters preventing it from moving properly. The UK breed standard doesn’t call for such conformation and The KC’s German shepherd page says “absolute soundness is essential”. The trouble is that German shepherds with sloping backs have become fashionable with both breeders and judges – and most judges are also breeders. Under the KC’s programme Breed Watch, judges are meant to be reporting dogs with cow hocks or weak hind quarters, not giving them awards. With most of our gundog breeds, the genuine workers no longer come anywhere near breed standard. Dog-historian David Hancock summed up the situation with the English springer spaniel aptly in his book Gundogs, Their Past, Their Performance and Their Prospects. “Broadly speaking, the show type springer looks like a docked setter while the working dog resembles a liver-and-white cocker.” Today, most show springers are left undocked, so look even more like setters. The English springer’s show standard gives a maximum height of 20in at the withers. If this height were enforced, most show springers would be banished from the benches. This working English springer comes close to the breed standard. With the labrador, show-bred dogs have been getting broader-chested and shorter-legged, while the workers have been doing the opposite. Show judges like to see dogs in a condition that most of us would describe as fat, while working labrador owners want their animals lean and fit. The only way to ensure that working gundogs conform to the breed standard is to follow the example of our Continental cousins and require all dogs competing in field trials to be checked against the standard. Any that fail would be excluded from competition. It’s a simple solution but could never be introduced as it would rule out all our top working dogs. The truth is that most of us couldn’t care less about the breed standard. We want a dog that works well, is fit and healthy and has a good temperament. There is one more essential: we prefer an animal that pleases the eye. Many people find modern trialling springers unattractive. They are, typically, little bigger than a cocker, with small ears, snipey faces and predominately white. Apparently, white dogs look flashier when working cover on a dull winter day. In contrast, many of the top trialling labradors are undeniably good looking, their obvious athleticism making them much more attractive than the show-bred strains. The latter hardly measure up to the breed standard, which requires a “very active” dog. There’s no requirement for labradors to be fat but it’s become the preference of most show judges. Conclusions? There is clearly a need for gundog breed standards if we are going to continue to try and breed pedigree dogs but the current situation – where no-one pays more than lip service to the standard – hardly makes sense. Most gundog breed standards are full of poetic waffle, with phrases such as “of aristocratic appearance”, “well balanced and noble”, “expression dignified” and “fearless and gay”. Perhaps the biggest problem is that the breed standards themselves aren’t fit for function.